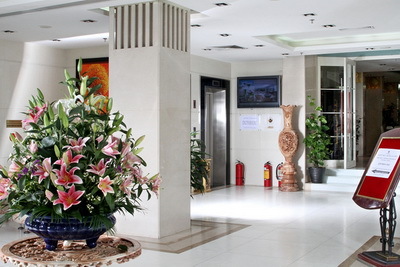 四星 Address: 50 Nguyen Chi Thanh, Hanoi , Vietnam. 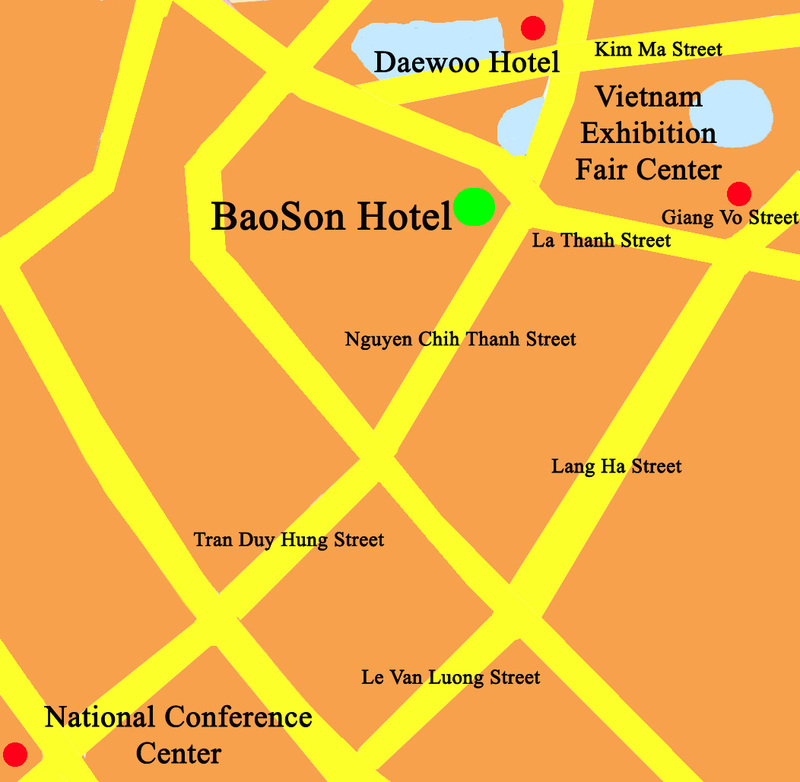 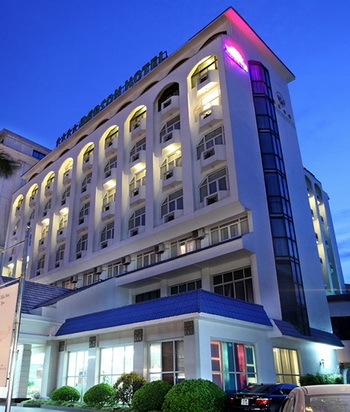 BaoSon International Hotel is the epitom of luxury and comfort in the bustling Hanoi City, Capital of Vietnam. 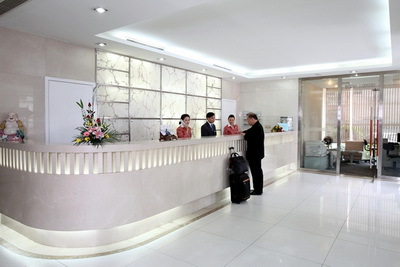 All our 95 guest rooms, including 15 one-bedroom and two-bedroom suites, are aimed to bring you comfort with all the convenience of the modern world at your disposal.Rejuvenate by enjoying a relaxing massage at our spa attended by experienced masseuse, then replenish with a gastronomical experience at our chinese restaurant, Crystal Palace, ending with a smooth relaxing drink while taking pleasure in watching your favourite game being shown on your favourite sports channel at our Rose Coffee House.